Today I want answer a common question that many mamas have, either related to themselves or to little ones. That’s how to increase iron levels naturally! There are many ways to increase your iron levels, including supplements. But as a registered dietitian, I tend to take a foods first approach to most things. So when it comes to raising blood iron levels, I’m naturally inclined to suggest several food-related options before turning to a supplement. In this article, I want to share with you one of my favorites ways to increase iron levels naturally — cooking with a cast iron skillet. I’ll cover how to season your cast iron skillet, how to cook with it and why doing so can help boost your iron levels! Getting enough iron is important to avoid symptoms of anemia like fatigue, dizziness, hairloss, shortness of breath, headaches, and restless leg syndrome (1). One common misconception is that plant foods contain very little iron. But in truth, plant foods contain loads of iron. In fact, some evens contain significantly more iron than animal foods. However, the type of iron found in plants is more difficult for your body to absorb. So to compensate, you need an arsenal of strategies to increase your iron absorption from foods. Some ways to help your body do so include combining iron-rich foods with foods rich in vitamin C or avoiding drinking tea or coffee together with iron-rich meals. But an even simpler strategy is to use a cast iron skillet to prepare your food. That’s because your cast iron cookware can release some of its iron into the foods being cooked, thereby boosting the iron content of your meal. 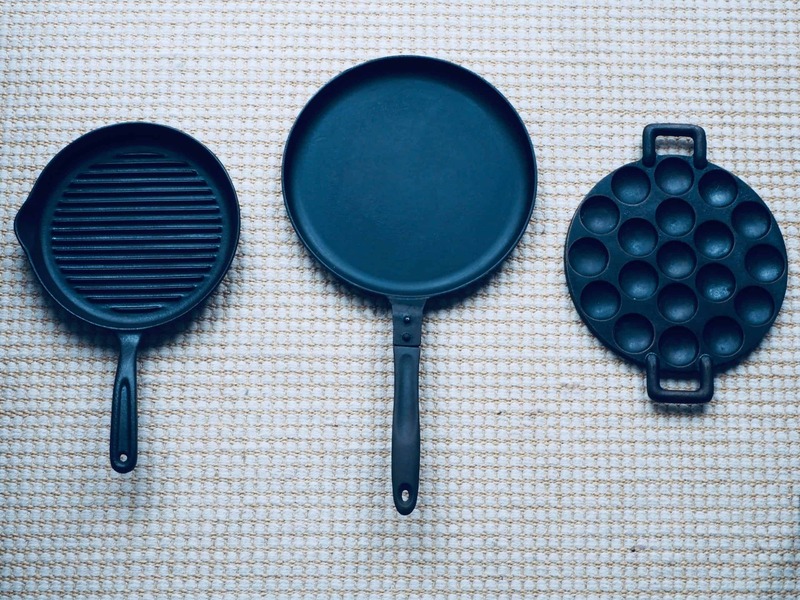 Research actually shows that cooking in cast iron cookware may increase the iron content of your meals by up to 16% compared to cooking in a teflon-coated non-stick pan (2, 3). What’s more, studies show that cooking in a cast iron pan can also help raise blood iron in people with low iron levels (4). In sum: Cooking in a cast iron skillet can help raise the iron content of your meals as well as increase your iron levels naturally. A cast iron pan is a great way to increase your iron levels naturally. But it does needs to be seasoned before you start using it. This is what makes it non-stick. Turn your oven on at the highest temperature it can go to (usually 450-500℉ or 230-260℃). Scrub both sides of your pan using a steel wool and dish soap — this should the last time you’ll use dish soap on your cast iron pan until its next seasoning. Rinse your pan under hot water while scrubbing it with a non-abrasive scrubber or the tough side of a sponge. Pat your pan dry and it place on the stove on medium heat to dry completely. This will help open up the pores of your pan and allow the oil to coat them more easily. Remove your pan from the stovetop with an oven mitt and add a thin layer of oil on both sides without forgetting the handle. Flaxseed oil is the most-often recommended, but other types of oil will work as well. Use a clean paper towel to wipe off as much of the oil as possible. Leaving too much oil on at this point will cause your seasoning to become sticky or blotchy. Place your pan in the oven, facing down. This will allow any excess oil to drip off the pan while baking. Bake your cookware for 1 hour. Then, let cool in the oven or on your stovetop. Your pan should come out with a hard glassy layer which should look approximately like the picture below. This is what makes it non-stick. If your pan doesn’t come out looking the way it should the first time around, repeat steps 5 through 8 until it does. It’s absolutely normal that it takes more than one round to achieve the desired result. The amount of times you need to repeat it will depend on how banged-up your pan is. For reference purposes, I found all of my pans second-hand so they were pretty old, scratched up and had some rust on them. I found that I needed to repeat these steps anywhere from two to four times, depending on the pan, before I achieved the desired result. But you may only need to do this once, especially if your cast iron pan is brand new. Keep in mind you may also want to re-season your pan occasionally, once you notice that the seasoning is starting to fade away. In sum: Cast iron pans need to be seasoned before use. The steps above show you how to season your cast iron cookware. Using your cast iron cookware is quite simple once you get the hang of it. Here are some tips to help get you started. First, always pre-heat your pan before you use it. Failing to do so is one of the major reasons why your food may stick to it or burn. Cast iron is a great conductor of heat, so you can tell whether your pan is hot enough by hovering your hand over it. Another telltale sign is to add oil to your pan. If it starts sizzling, your pan is ready to be used. When cooking food, you may be used to moving it around to avoid it from burning. But you should avoid doing this when using a cast iron skillet. That’s because trying to move food before it is ready will cause it to stick. Instead, try waiting until your food naturally releases from the pan. When it’s easily moved, it will be time to turn it. Finally, a cool thing about cast iron pans is that you can easily transfer them from the stovetop to the oven. This gives you some versatility when it comes to cooking your foods to perfection! To clean your pan, scrub it under hot water, using a brush or a non-abrasive scrub pad. To remove stubborn spots or burned food, try using some coarse salt for extra scrubbing power. Avoid using soap as this will weaken your seasoning and cause your foods to stick. Also avoid using cold water to clean a hot pan, as this can cause the iron to crack. Remember that iron rusts very easily. So after washing your pan, make sure that it is completely dry before storing it away. You can dry it with a dish towel or heat it on your stovetop until all water has evaporated. If you find that your pan is starting to lose its seasoning, you can try re-seasoning it after each use it by rubbing its surface with a little oil. Then, heat your pan until the oil starts to smoke. Bringing the oil until to its smoke point will prevent it from going rancid when you store your pan away. In sum: Cooking in a cast iron skillet is easy. Just make sure you pre-heat it fully and avoid moving food too often. Wash your skillet without soap in warm water and dry it fully before storing it away. There are some foods you may want to avoid cooking in your cast iron pan. For instance, since iron is porous, it tends to retain odors and flavors more than other types of cookware. For this reason, people often recommend that you avoid cooking very smelly foods in your pan to avoid the odor from leaching into your next meal. Some people also recommend that you avoid using acidic ingredients in your pan, because they may weaken your seasoning, causing your foods to stick. This includes tomatoes, tomato sauce, wine or vinegar, for example. I personally like to use my pan for most meals, simply re-seasoning it whenever needed. You will surely find what works best for you! That said, you may want to avoid cooking very sticky foods the first few times you use your cast iron pan. Cast iron becomes gradually more non-stick with each use. So simply use it frequently and you’ll be cooking perfect Sunday-morning pancakes in no time! Cooking with a cast iron skillet is a great way to increase iron levels naturally. It may seem daunting at first. 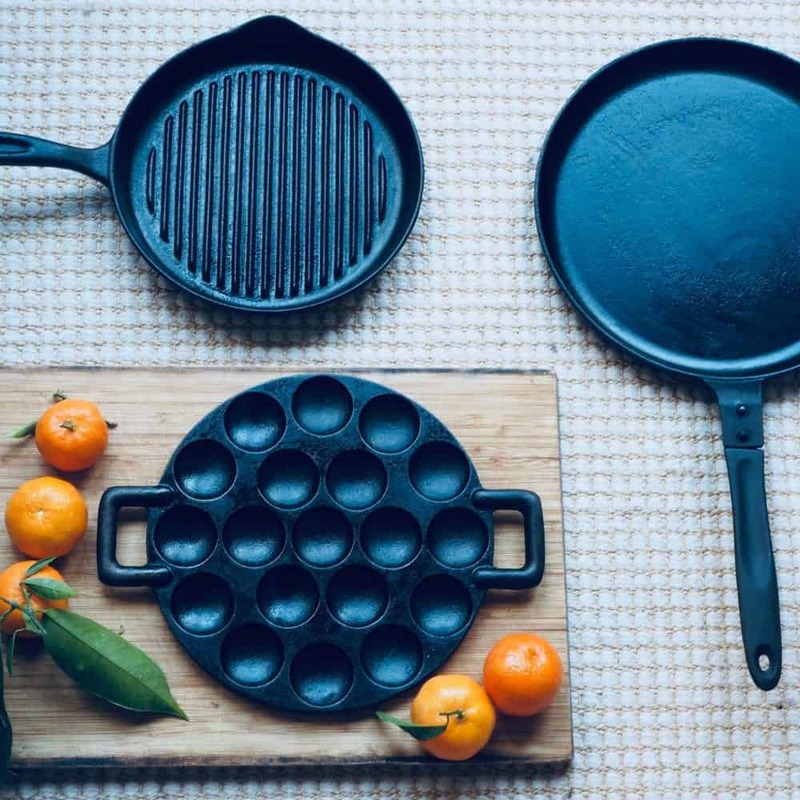 But once you know how to season and use it correctly, cast iron cookware can become such an easy and mindless way to boost the iron content of your meals. Do you use a cast iron pan? If so, I’d love to read about your favorite tips and recipes to make in it in the comments below!